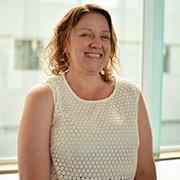 Dr Perry is a Post-Doctoral Fellow of the National Heart Foundation based at Flinders University. She has been a cardiac sonographer for over 18 years and has been involved in research and advanced echocardiographic techniques for the past 12 years. She has extensive experience in advanced echocardiographic techniques such as strain and 3D echocardiography. She completed her PhD in 2013 and has presented extensively both nationally and internationally as an abstract presenter, invited speaker and member of faculty. She has published abstracts, manuscripts and a book chapter on topics such as dyssynchrony, coronary vasomotion, speckle tracking, strain and 3-D echocardiography. Dr Shah completed his Basic Physician Training from The Queen Elizabeth Hospital in 2011 and was awarded the Fellowship of The Royal Australasian College of Physicians (FRACP) in 2014 after completing 3 years of Advanced Cardiology Training. 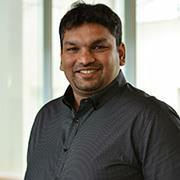 He is a very active young cardiologist with a great interest in cardiac research. He is currently working on a PhD where he is investigating the use of cardiac MRI in understanding asymptomatic coronary artery disease in advanced renal failure patients. He is very hard working, extremely motivated and active in advocating cardiac magnetic resonance. Dr Raman completed his basic medical training at the University of Auckland, and cardiology training at Waikato Hospital in Hamilton, New Zealand. 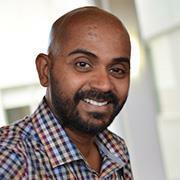 Currently, he is pursuing a clinical fellowship in Cardiac MRI in in the Cardiac Imaging Research Group in Flinders Medical Centre. In addition to his clinical work, Dr Raman is undertaking a PhD in cardiac imaging, investigating the use of CMR in pulmonary hypertension. He has previously published in the International Journal of Cardiology with his research in CMR. Dr Raman’s aim is to utilise CMR to better understand right ventricular cardiomyopathy to diagnose the condition earlier, not only for those in RV dysfunction, but in pulmonary hypertension, without the use of invasive diagnostic tools. 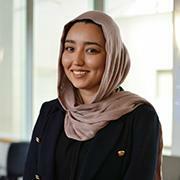 Madiha is a second-year PhD student at the College of Medicine and Public Health, Flinders University, under the supervision of Professor Joseph Selvanayagm and Dr Rebecca Perry. After completing a bachelor of biotechnology at the Flinders University, she commenced an honours position in Molecular and Neuroscience, investigating Type II diabetes, finishing the year by publishing in PLoS ONE Genetics. Amongst her formal education, Madiha also undertook two summer research positions after gaining competitive research scholarships. Her current role is now in clinical research, investigating Atypical Fabry Disease and its prevalence in the Australian cohort of cardiac patients with left ventricular hypertrophy. To date she has undertaken a screening study, which has helped to identify patients who would otherwise remain undiagnosed by current guidelines. Madiha’s PhD is centred around raising awareness in the community about rare genetic disorders to enhance future guidelines.